I live in Sevier County, Tennessee. 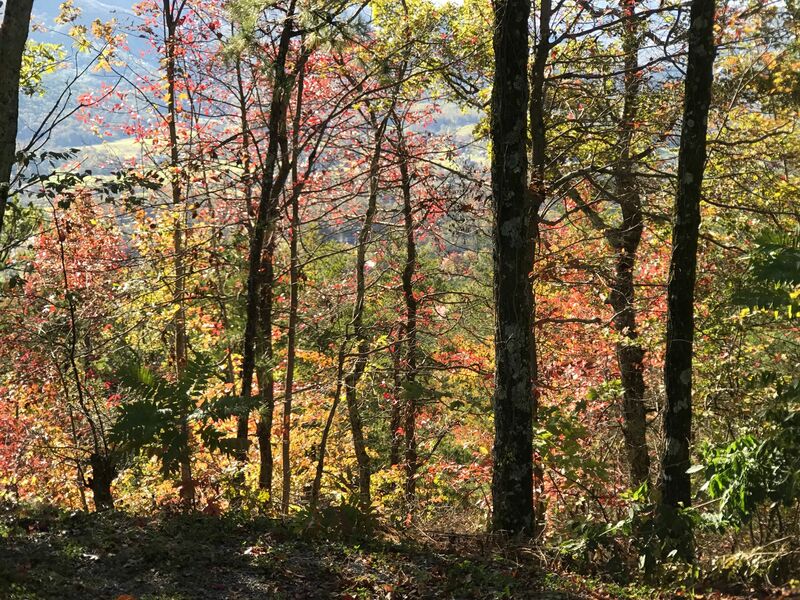 My backyard south is Roundtop Mountain; the east view, through the trees, is Cove Mountain; and the lighted ridge facing north is across Wears Valley Road. These details are important to me because for the last 30 years I painted mostly horizon lines, (corn and soybean fields and prairies). 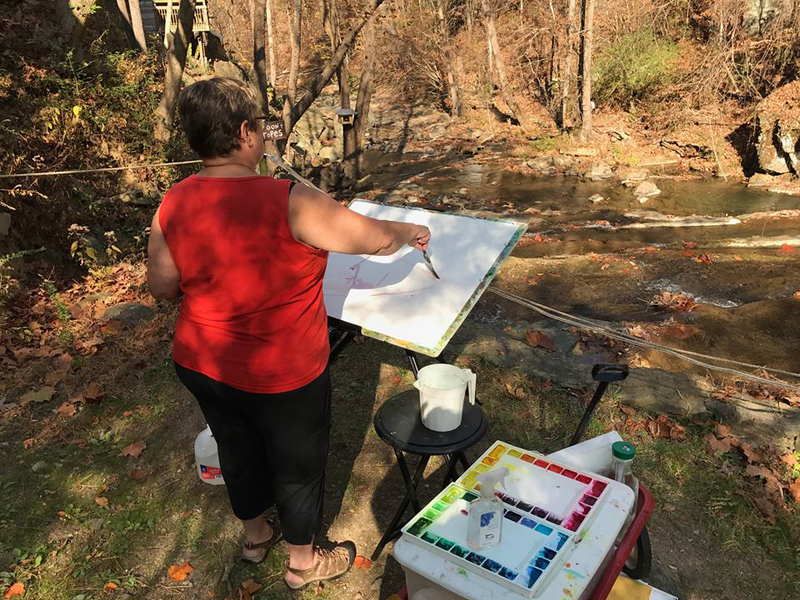 The Smoky Mountains have expanded my painterly horizons. 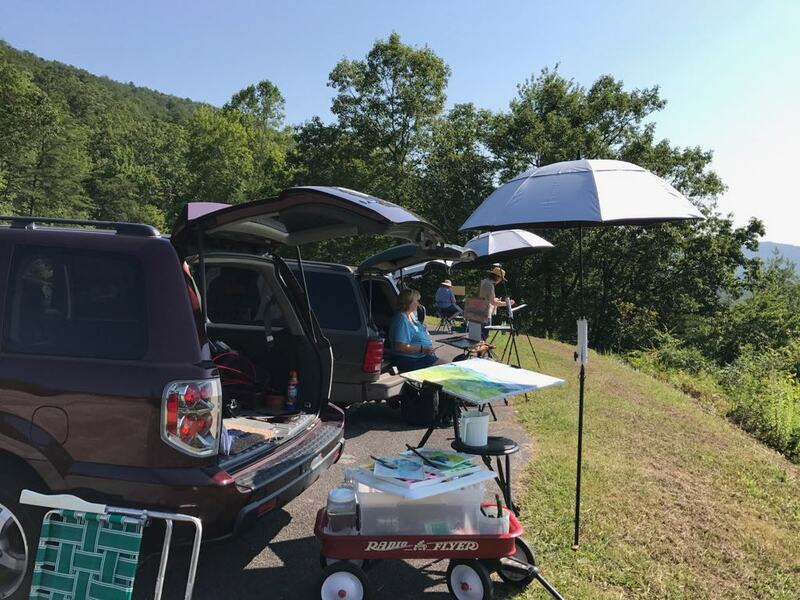 I have been painting out-of-doors almost exclusively for over 20 years; my portable studio is in the back of my van, with my red wagon as a cart for art supplies. 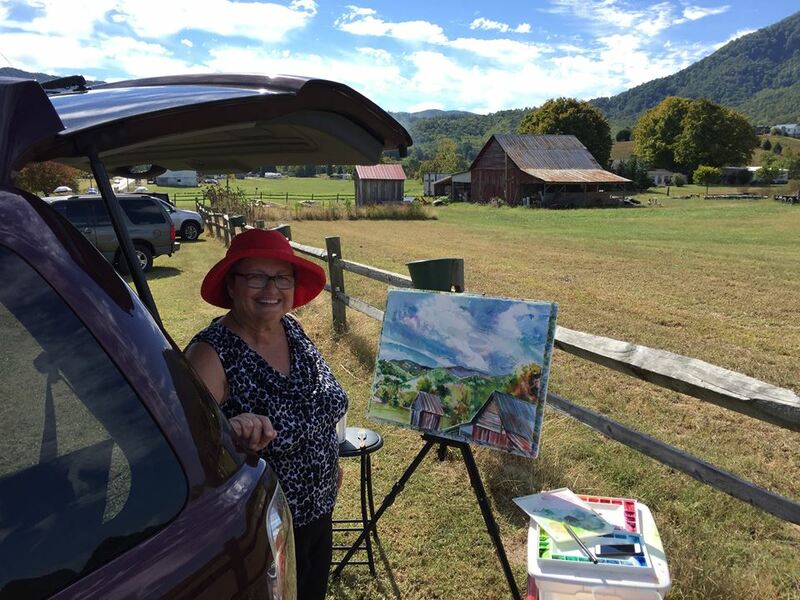 Being a plein air painter, I am thrilled to be able paint all year round in Tennessee. 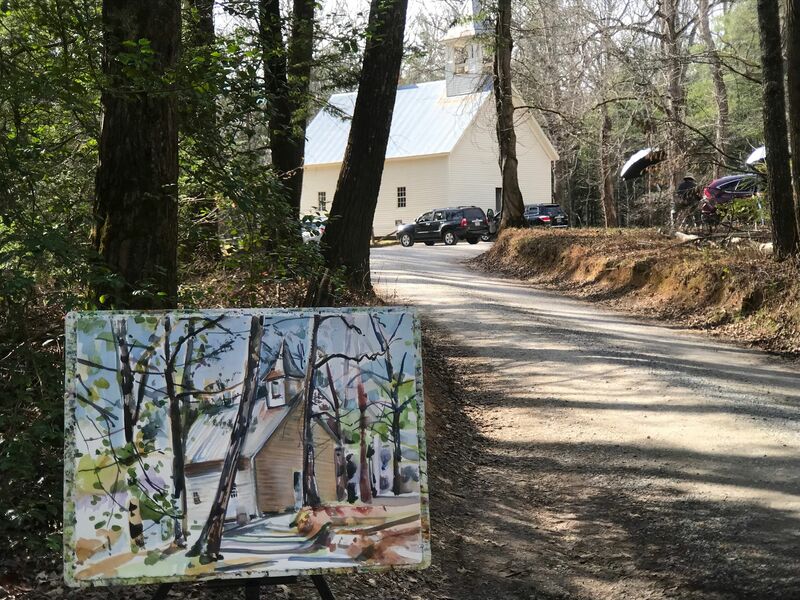 Before I moved south, for months of the year the weather and a full-time university teaching job made painting outside nearly impossible. 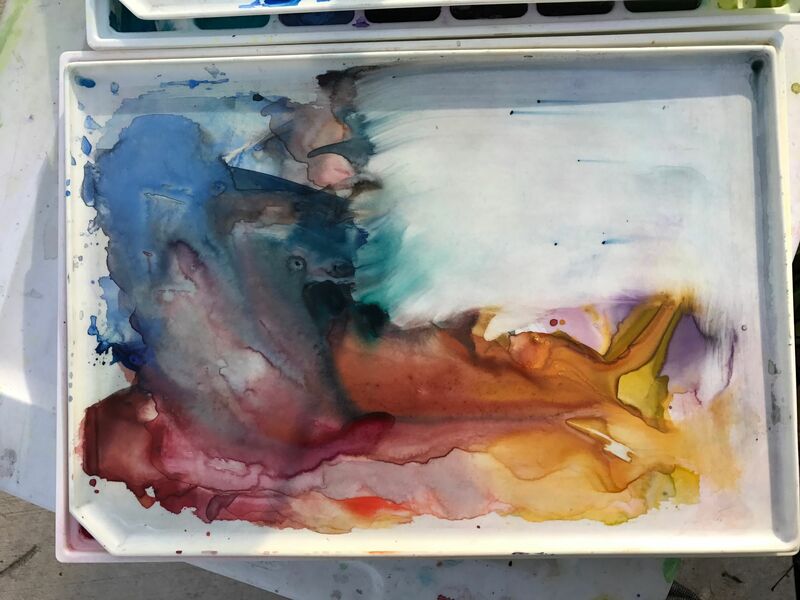 On warm days, I dragged my students and their paints out to a picturesque wooded lagoon in the center of NIU’s campus, drawing more attention than we needed and competing with blasting music and blaring emergency vehicles housed across the road, but frequently inspiring some of their best work. I painted right alongside them. I have tried to use art to maintain my sense of humor and my continuing sense of awe of Nature herself. I like to have my palette ready, like having the biggest box of crayons available, and always with wet paint, requiring little mixing. The painted colors change and the viewer can see my choices on the paper. 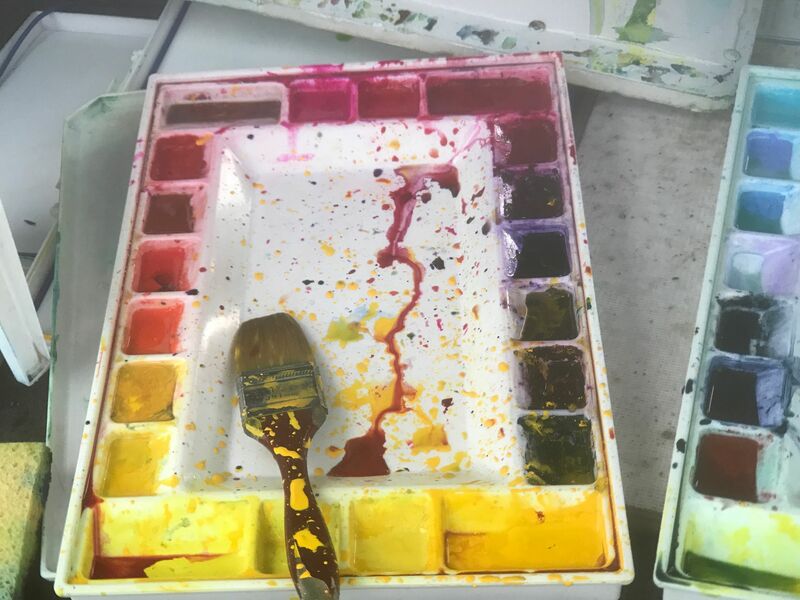 My palette is divided by warm and cool colors as in nature itself. 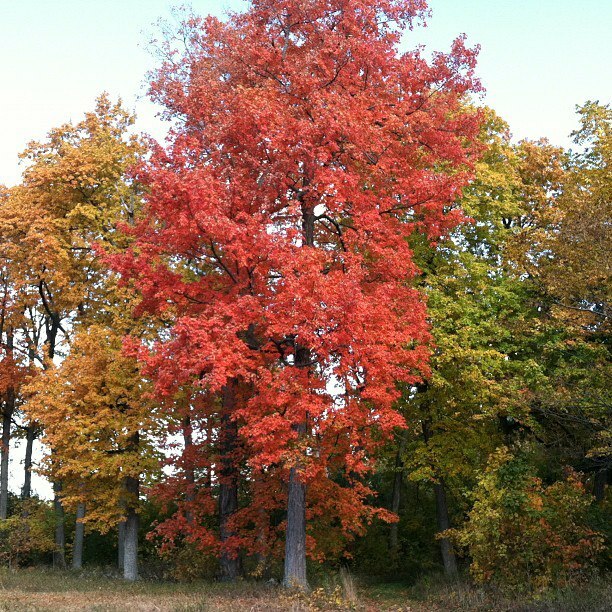 Then color has more depth and builds value naturally. Lastly, when I focus on details, I remind myself the painting is already finished. 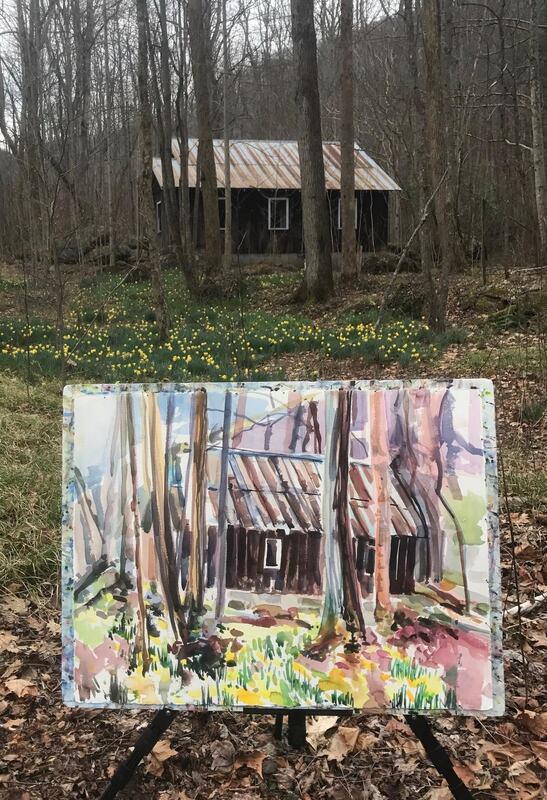 I use typical painting techniques slightly differently. Value, a most important first step for most artists working outside, helps one organize and simplify the rawness of the natural world. But for me, I see color first and embrace the movement of light and the chaos of nature. Drawing (both value and line) is the last thing that completes my painting. I like my paintings to be alive. My method of painting derives from non-western brush techniques with western paper and color. Here are my favorite brushes. 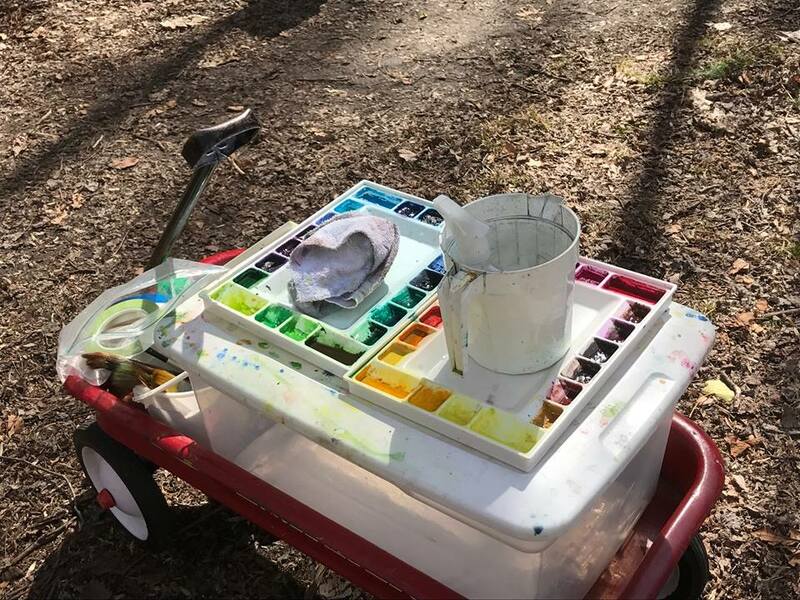 This red radio flyer is my traveling studio; it has gone thorough water (Vermont Studio Center) and up a mountain path in Georgia (Hambidge). It is my paint table but strapped down can still tip over....it was even struck by a bike in Illinois. My portable studio reminds me of Chicago where it was made and bought for my daughter, Danielle Holland. I guess it really belongs to her—but right now it is all mine. It matches my red hat, too. My colorist influence is heightened (described as bright) because of my experiences. 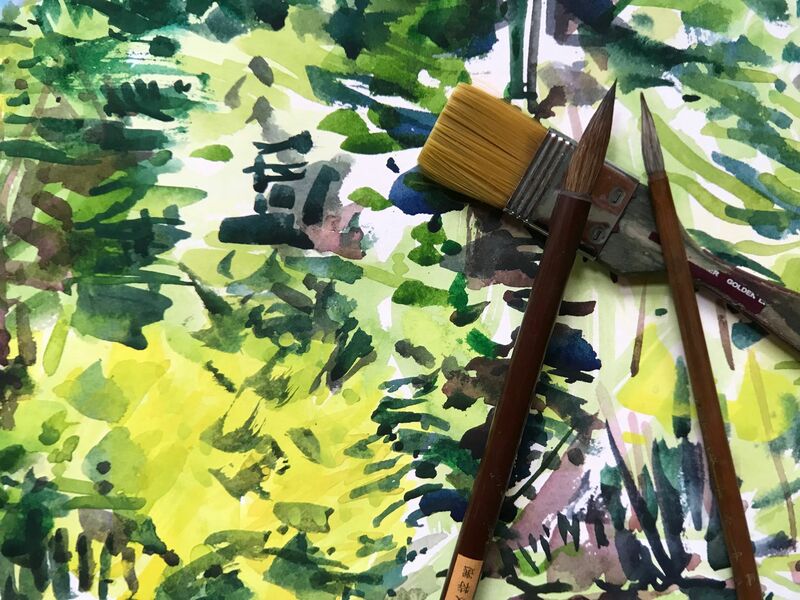 I worked in the textile industry in New York City and Chicago for years, hand-painting silk dresses and designing and styling wallpaper in my Chicago studio, while I began teaching art part-time. 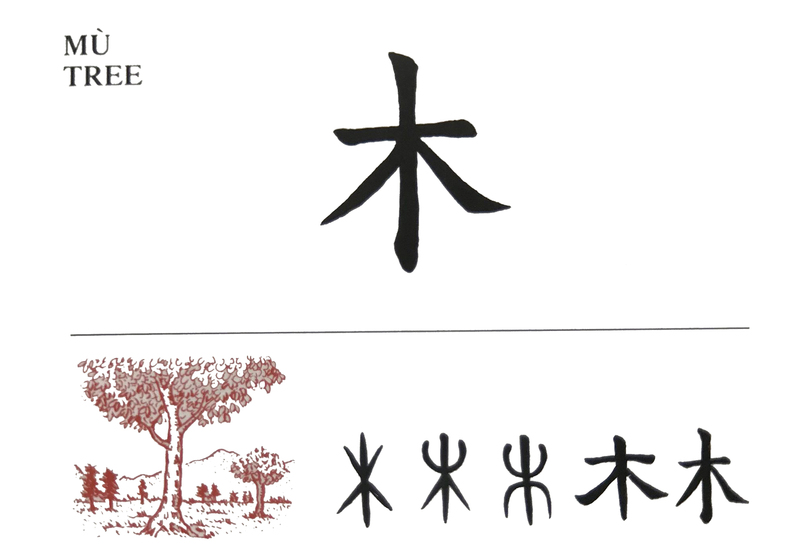 I went to China in 1995, studied rice paper scroll landscapes and for a short time worked in black ink. 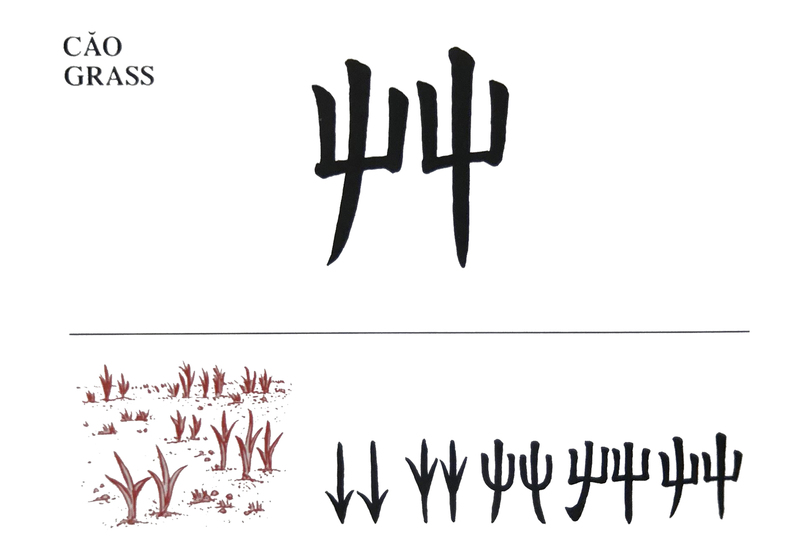 Discovering then that words in Chinese calligraphy were actually realistic descriptions painted with brushes, my landscape painting derived from calligraphy itself after that. 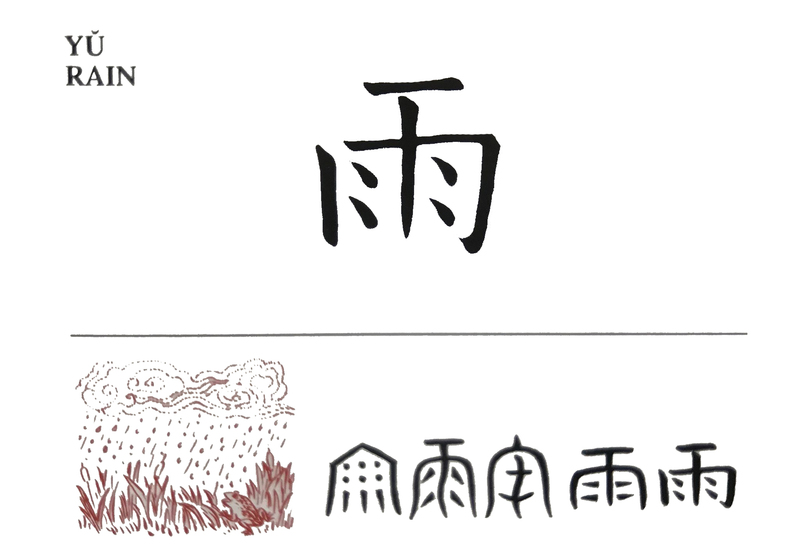 I am always looking for the perfect brush and I use bamboo brushes to draw what I learn from Nature. 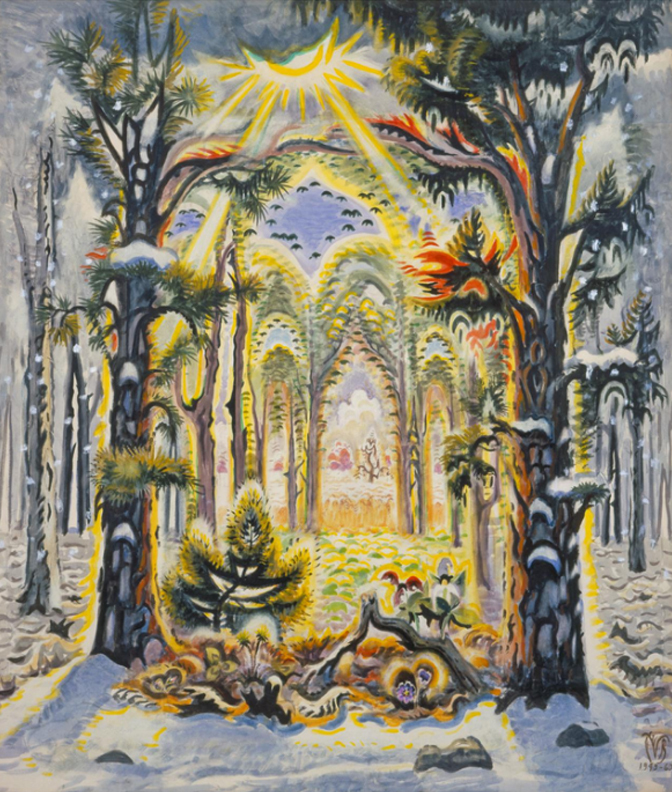 My embrace of color likely began in graduate school, when I fell in love with Charles Burchfield’s watercolor “The Four Seasons” at the Krannert Art Museum on the University of Illinois campus, where I earned my MFA. 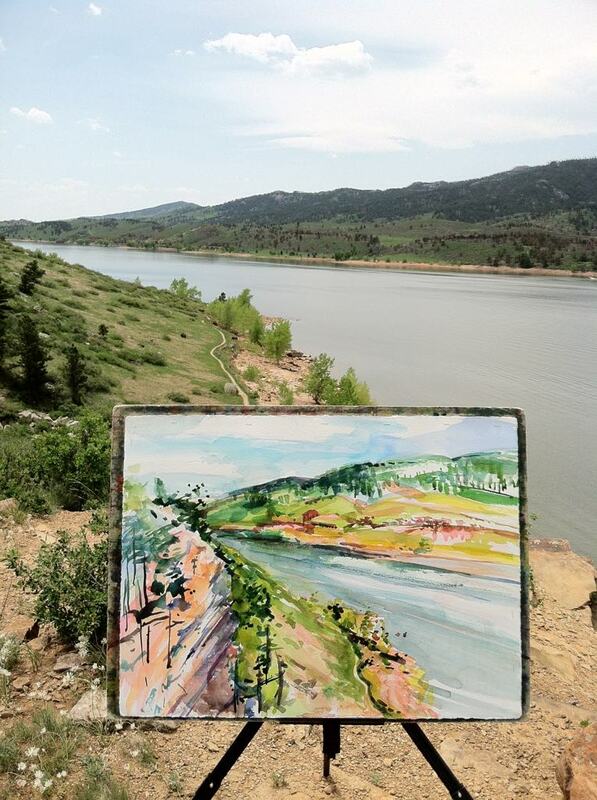 I studied more of his work, and admired his large expressive watercolors done en plein air. Perhaps I was even more influenced when I discovered that Burchfield also designed wallpaper. 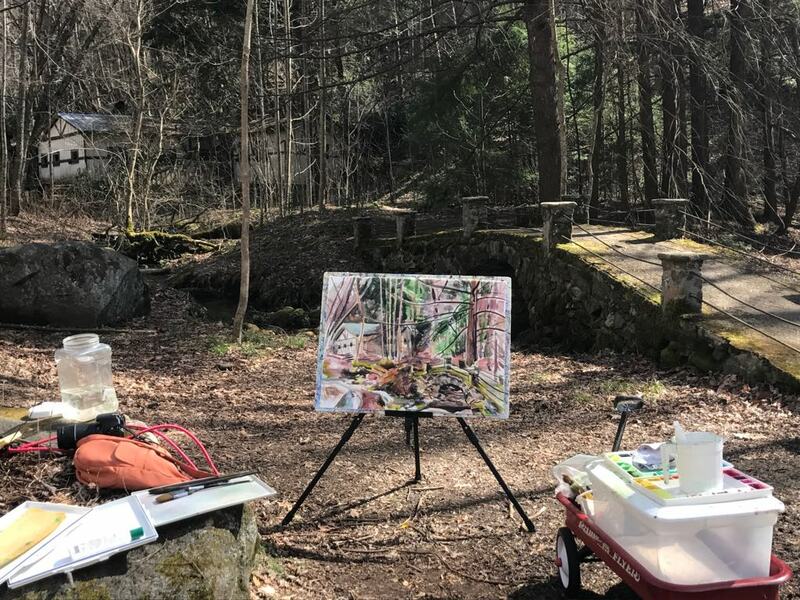 I continue to learn more from observing and painting nature and looking carefully at the marvelous paintings in museums around the country and the world. Visiting Monet’s garden surely added to my color repertory. In September 2002, I got a fellowship to study and paint at the Vermont Studio Center with Wolf Kahn, a renowned colorist, and realized then that color makes its own energy. 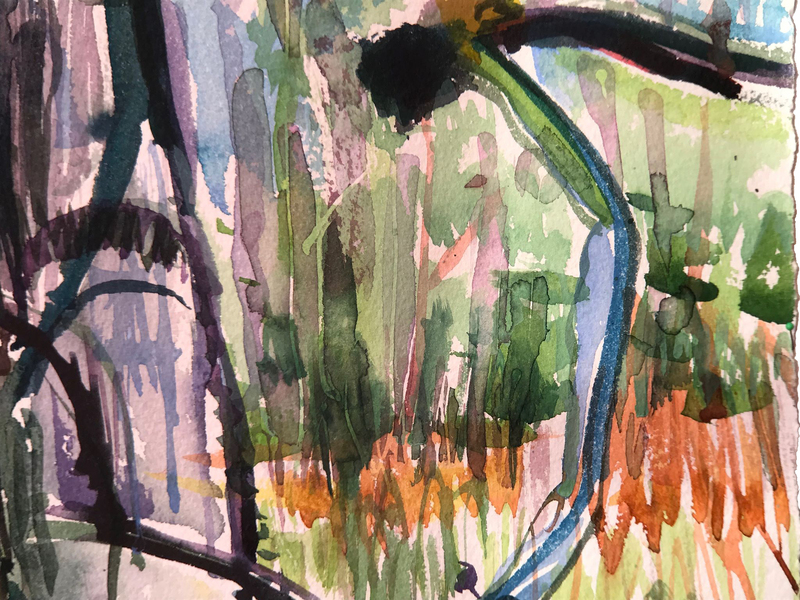 During an academic sabbatical, I painted for three months in Costa Rica; it goes without saying that the tropics presented their own bright, natural palette to further inspire my use of color and light. Now, my color reflects the mist and clouds of the Smoky Mountains.